WannaCry RansomWare Attack: When everyone in the world was thinking about World War 3, there was some other tremendous thing happened via Cyber attack on 13th May 2017, Saturday. 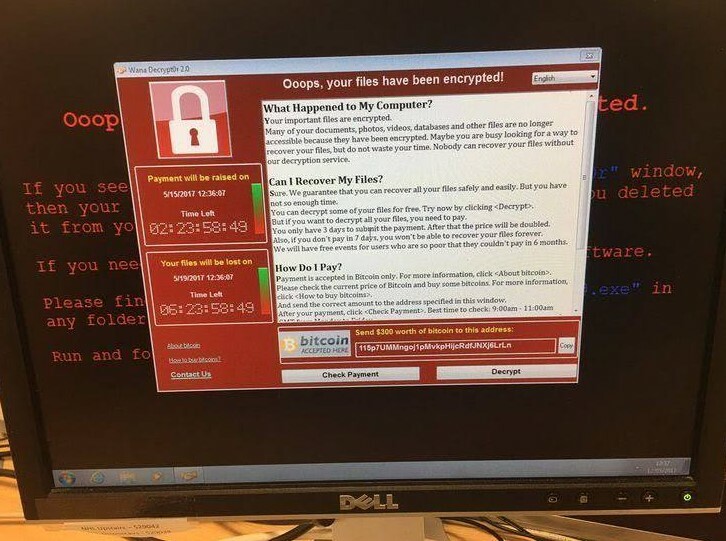 A Massive RansomWare attack (largest in history) hit over 200,000 computers across the world (India hit massively as well). A group of hackers spreading massive RansomWare attack all over the world to hack many Windows laptop and computer users. In less than 2 hours, they targeted 11 countries and got many victims and hacked their data in their computer. To those who don’t know, when a PC is hit by a ransomware attack, all the Files, data, documents etc is locked (encrypted) and cannot be accessed unless the owner pays a RANSOM (Money). The Ransom can be of 100 to even 1000s of Dollars. So eventually companies (or you, if you are hit) have to pay money to get access to all your PC files. The hackers use a type of code to called “kill switch” which spread their virus code all over the laptop software and the victim will lose his access to the data in his computer as soon as he got hacked by RansomWare. Here is a video showing a machine on the left infected with MS17-010 worm, spreading WCry ransomware to machine on the right in real time. In order to get back the access to their data, victims are asked to pay arounf $300 to $600 via Bitcoin payment mode. What is the reason for WannaCry RansomWare Attack? This attack mainly hit the hospitals in the UK which led hospitals to not operate properly. 1000s of patients are not being treated and patient data has been locked. Now the attack is widespread. Some big organizations that got hit are Renault, Telephonica, Germany railways, FedEx, Russian Central Bank etc. Hacked Servers Google Dork: intitle:“Index of” “/ .WNCRY”. If you have a habit of downloading Email attachements to your windows computer, stop doing that. RansomWare atttack is mostly executed via Email attachment and we request you to not download anything from unknown email senders. How to Protect Your PC from WannaCry RansomWare Virus Attack? avoid clicking/opening unusual or suspected files. Just a precaution. Install the patch released by Windows. (for Windows XP, 7, Server 2008). It’s a must and Do it immediately. Avoid downloading unknown email attachments. For precautions. Updated windows 10 system are safe now as per the Microsoft latest update. Stay tuned for more updates on ransomWare attack updates and precautions.